Millennial travelers – they are the fastest growing segment in the traveling demographic and they make for 70 per cent of all the hotel guests in the world. But contrary to popular belief, not all Millennials like to rough it out or stay in Airbnb while they’re traveling. They’re just as fond of their creature comforts as the next person, and it’s not uncommon to see them checking into a luxurious suite, lounging by the pool, or eating at a fine dining restaurant. However, they’re far more partial to something else – weaving memorable moments into their travel adventures. Joe Pine, management advisor to Fortune 500 companies and entrepreneurial startups, believes that the days of commoditized services are over. He believes that “Businesses must orchestrate memorable events for their customers, and that memory itself becomes the product”. Millenials have been aptly nicknamed the “Experience Pioneers”, because most of them are looking for authentic travel experiences. This may have something to do with their obsession with social media and the fact that they experience fear of missing out (FOMO) a lot more keenly than the generations before them. So, whether it’s personal gratification or the fact that they want to share their entire life on social media, Millennials demand that every element of their trip be unique, beautiful, and highly experience-oriented in nature. And hoteliers who’re wondering how to attract a greater footfall of millennial travelers should focus less on selling their spas and rooms and think of something that’s more out of the box. Here are a few ideas that might help. When planning your list of services, don’t include experiences just for the heck of it. Pick the ones that are relevant to your guests. For instance, a private helicopter ride to a spectacular location will probably appeal to everyone, but such an elite excursion might be beyond the budget and interests of a typical backpacking traveller. Pay attention to the travel motivations of your guests and the activities they indulge in during their stay. For, eg, families traveling together might be looking to spend some quality time with each other, and they are more likely to be interested in family-oriented activities that will bring them closer. On the other hand, couples looking for a romantic retreat is more likely to enjoy going horse riding through the lush green valley amidst the backdrop of the rising sun. Once you’ve identified what will sit well with your demographic of travellers, incorporate these experiences in the bouquet of services you’re offering to add value to their stay. For those who are about to list WiFi, state of the art coffee maker, and plush beds as experiential amenities – don’t! These modern conveniences are no longer seen as add-on amenities; they’re just as essential as nowadays as electricity and air-conditioning. Guests of the 21st century seek an experience that is authentic and appeals to their sense of adventure. 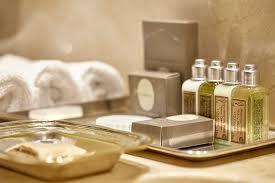 They also want to be made to feel that a hotel is truly invested in their happiness and well being. So, when you offer sun hats or complimentary cold drinks to guests as the lounge by the poolside, they’re far more likely to appreciate that gesture than a selection of pillows to choose from. Other things you can consider are giving away passes to a play, a concert, or a game happening in the city. Or, you could make the hotel car available to them as they go shopping. Such amenities not only enhance their travel experience but also make for a much better tale to swap with their friends than WiFi, pots of coffee, and exquisite bedding. There are various reasons why you would want to partner with local businesses and vendors. To begin with, you’ll be able to curate a whole range of activities that your guest might not find anywhere else. Secondly, it incentivizes visitors to choose your hotels over the others, and also encourages them to leave complimentary reviews online. Thirdly, it creates goodwill within the local community who will be grateful for the business you send them. And they won’t mind recommending your services to their customers, should the opportunity ever arise. So, put a great deal of thought into curating local-driven experiences. Collaborate with local museums and art galleries to organize special tours. Speak to local artists and give them a platform to hold their events. Reach out to chefs in your neighborhood to create culinary wonders for guests. If you own a beach resort, partner with the local center to provide your guests with discounted surfing lessons. These, and many such initiatives, are going to be met really enthusiastically by your guests and will go a long way in creating a favorable impression on them. In the end, the overall stay is what sets your hotel apart from your competitors. Price isn’t the only deciding factor when it comes to booking a room. Consumers often make decisions driven by emotion and on the perceived value of the experience. Therefore, hotels that offer an exceptional experience are more likely to be a favorite as compared to hotels who’ve listed down their services in a dry manner. The best way to create a lasting impression on your guests is to invest in a great website. Identify the unique selling points about your property and tell prospective guests why they should choose to stay with you. Don’t just talk about the rooms you have or the thread count of the bedsheet. Focus on senses like sights, scents, sounds, tastes, and touch to bring website visitors as close as possible to the actual guest experience. Put some thought into the conversation that’s going out. For example, which of these two would appeal more to your guests, “Enjoy our sparkling outdoor pool” or “After a hot day out exploring the city, cool off in our sprawling pool, or poolside with a refreshing beverage under a shade umbrella, surrounded by our fragrant tropical gardens.” There’s no doubt about it – the latter tugs at the strings of your heart. Don’t stop at content alone. The saying ‘A photograph speaks a thousand words’ applies perfectly to the travel and hospitality industry. Use images and videos to your advantage as well – they’re known to be most effective in engaging guests and conveying an immersive feel experience. If your hotel is able to create an engrossing narrative using its website and social media pages, I’d say you’ve already won half your battle. 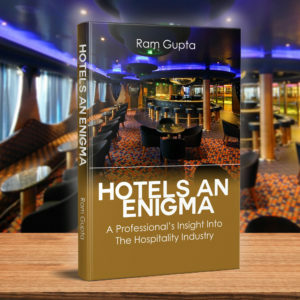 The “experience” trend is gaining popularity across the entire hospitality sector. Offering memorable experiences is a practical and useful way for hotels to distinguish themselves, especially when these experiences have been thoughtfully and appropriately curated for guests. The keyword here is ‘thoughtful’. There is no one-size-fits-all solution here. Don’t go by what other hotels are doing. Don’t ape mindlessly. Think of experiences that are unique to your hotel, your business model, your clientele, and your surroundings, and I think you will do just fine.